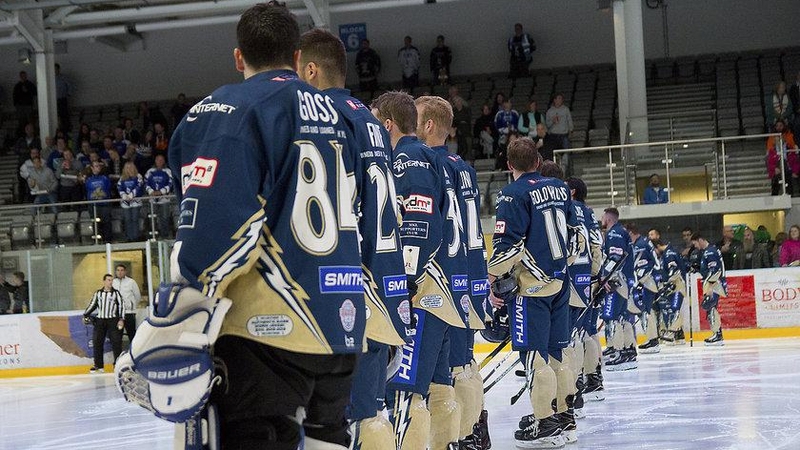 The Smith Recycling Milton Keynes Lightning tonight confirmed that Tim Wallace and Ryan Lannon will coach the team for the rest of the season. At a fan Q&A session on Friday (23rd November), the team confirmed that both Wallace and Lannon will operate in a player-coach role after the departure of Doug McKay last week. The duo will share coaching responsibilities in-line with their playing experiences, with Lannon taking charge of the team's defensive unit and Wallace taking charge of the offence. The team also announced at the session that the league has confirmed that the team does not require a Level 2 coach to physically be on the bench at all times. This means that Lannon, a Level 3-qualified coach, and Wallace will both be allowed to take to the ice together without any repercussions. Both veteran players have a strong relationship, stemming from their time playing together for the Wilkes-Barre/Scranton Penguins in the AHL early in their professional careers. The announcement did, however, come with the news that neither player will be eligible to wear a captain’s ‘C’ or ‘A’ this season. Wallace confirmed that over the coming weeks the team will rotate alternate captains before making a decision on who should/could be the team’s lead captain for the remainder of the season. The team return to action under the guidance of their new permanent coaches this Saturday (24th November) when the Nottingham Panthers visit Planet Ice MK Arena.